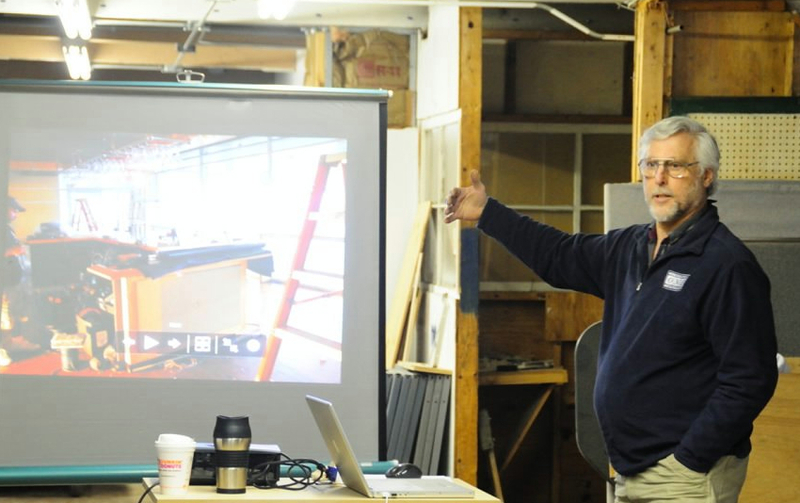 The furniture interest group, or FIG, is an informal forum for the exchange of ideas about design, construction, and finishing between woodworkers who are actively engaged in furniture making. The only requirement is an interest in furniture making and a willingness to learn and to share what you know with others. Monthly meetings are held at members' homes or shops on the third Monday of each month from 7-9 pm. Each member hosts a meeting about once per year. At each meeting, we talk about issues on current projects, lessons learned, a new jig, experience with a new tool, and to identify problems encountered, asking for suggestions from the group. Sharing knowledge and ideas in a constructive manner provides a forum and opportunity for learning. Occasionally a more extended presentation will be made by a member. The Chairman should be contacted if you wish to make a presentation so that he can coordinate with the meeting host. Please contact Don Michael at 781-591-9679 or drmichael22@outlook.com. New furniture makers are welcome at any time. New members will be asked to introduce themselves and tell the group (in 2-3 minutes) what kind of furniture-making interests them and a brief summary of their experience level. There are no dues, but participants are expected to maintain their membership in EMGW.